There’s so much choice now for online casinos, it can be difficult to know which one to register with. But if you’re anything like us at Mobile Bingo Bonuses, then you’ll love a mixture of incredible gaming and generous bonuses; so let us introduce you to Lucks Casino. Lucks Casino is from the renowned Progress Play and offers an eye catching and sleek theme, which is available on desktop, mobile and tablet devices. All you need is an Android or iPhone device and you’ll be able to play high quality games 24/7, anytime and anywhere. There are over 350 casino and slots games, including the featured favourites Drive and Fantasini; so you’ll have hours of fun ahead of you. The bonuses begin from the moment you register on Lucks Casino, because they’ll give you a £5 no deposit bonus. This bonus is a fantastic way for you to try a number of the games, for playability and speeds on your devices; if you love it then you can head to the next offer. When you’re ready to make your 1st deposit you’ll receive a 100% cash match bonus, up to £200. This means that whatever you add you’re basically doubling your money, so on the minimum £10 you’ll end up with £20 to game with. Cash Back Bonus – Thursdays will now have the added excitement of a cash back bonus, when you join Lucks Casino. 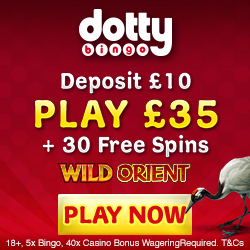 Deposit a minimum £30 and you’ll automatically receive a 10% cash back bonus. Weekly Surprise – There’s nothing better than a surprise and that’s what you could receive from Lucks Casino if you’ve deposited in the last 14 days. They randomly deposit a cash bonus into someone’s account, as a thank you for your loyalty. Game of the Day – It’s not just about the bonuses credit, because every Wednesday you’ll also receive a spins bonus if you’ve deposited in the last 7 days. 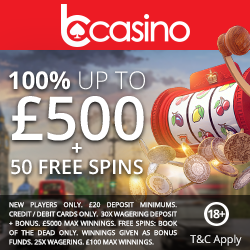 Monday Madness – Yes it may be the worst day of the week, but if you deposit between £20 and £50 you’ll receive a 100% cash match bonus; every single Monday! For the social media fans out there, make sure you check out the Lucks Casino Facebook, Twitter and Google+ pages. You’ll find the latest news, games and promotions all under one roof. When you become a regular player, you’ll be interested to hear about their VIP room, which has 5 levels (bronze, silver, gold, platinum and diamond) each offering bigger and better bonuses. You join the scheme when you register and to move through the levels is simple, you play to earn points. Examples of some of the benefits include, personal account manager, birthday gift and anniversary gift. Should you need to contact anyone for assistance, then you can access a representative via live chat or on their email enquiry form. The representatives are available between 6am to 11pm and aim to respond within 48 hours. Live Casino accept the usual banking methods including Credit and Debit Cards, Skrill, Neteller, Paysafe Card and Pay by Phone. If you aren’t aware of the pay by phone bill method then it’s as simple as providing your mobile number only and any credit is added to your phone bill. There is a limit to the amount of credit per day, but you can use this in conjunction with other methods such as Neteller. To register and claim the £5 no deposit bonus, simply head over to Lucks Casino and enjoy.